Welcome to New Hampshire’s premier place for table games – including Roulette, New Hampshire Hold ‘Em, Blackjack, Spanish 21, Let It Ride, and Big 6, not to mention our comfortable and friendly poker room featuring table stakes no-limit cash Texas Hold’em Poker and tournament Texas Hold’em Poker. Win your share of big money in April! Earn points for playing cash poker all month long and claim your piece of the jackpot. Earn Double Grinders Points for time every Monday and Saturday! The winner of any River poker promotion in April will additionally receive 1 entry into the Sunday Fin and Double Grinders Points for time for that day! Players get $100 when they win with all six different hands: One Pair, Two Pair, Three-of-a-Kind, Straight, Red Flush, and Black Flush. Players get $200 with additional pyramids in the same day. Cash Poker Bad Beat! The cash poker Bad Beat Jackpot is $25,000! Come and get it! The first player to win with a Flush in every suit wins $1,000! You only need to use one hole card and win the hand for your flush to qualify. Starting at 5pm. Plus Free Pizza for poker players every Friday night! $1,500 Poker Boat Race Saturdays! The average Fin prize pool in March was over $2,000! $5 buy-in for 2,000 chips / Optional $50 pre-buy for 20,000 chips / $20 re-buys for 5,000 in chips in the first hour / Optional $50 add-on for 15,000 chips during the first break / 15 minute blinds. Every Sunday Starting at 1pm. Buy-ins permitted until the first break. Cash Poker High Hands! High Hand Mystery Envelopes containing either $1,000, $500, $200, or $100. Before 5pm, 5pm-7pm, 7pm-8pm, 8pm-9pm, 9pm-10pm, & 10pm-Midnight. 1 winner per session. Raising the Stakes! The bet limit was raised from $4 to $10 last June and table games at the River got a lot more interesting! The River is New Hampshire’s table games leader – come see our new expanded front pit and our new back pit and join in the action! There are 36 numbers plus 0 and 00 and many combinations of numbers on which to place bets. Additional bets include: red/black, even/odd, 1 to 18, 19 to 36, first dozen, second dozen, third dozen, and column bets. The dealer spins the ball. If it lands on a number on which a player has placed a chip the player wins. The payout is determined by how many numbers are covered by a player’s chip. New Hampshire Hold ‘Em is a five-card poker game that lets you bet up to 10 units on a single hand. In NH Hold ‘Em, you compete against a pay table, not against the dealer. The goal is to make a poker hand using the two cards in your hand and the three cards on the board. In order to get a push, you need a pair of 6’s through 10’s, and a pair of jacks or better wins. The big payouts in New Hampshire Hold ‘Em have made it one of the River’s most popular games! Blackjack is back! The River has the only Blackjack game in town! And we’ve added a Bonus “Match the Dealer” side bet to add even more excitement! Blackjack, or twenty-one, is the most widely played casino table game in the world. The goal of twenty-one is simple; beat the house’s combination by acquiring a combined card count of 21 or under. Aces are valued as either 1 or eleven, Kings, Queens and Jacks have a card count of ten, and all other cards are given their numeric face value. If the Player’s total goes over 21, the Player busts and loses the amount wagered. Players win by not busting and having a total higher than the dealer, or not busting and having the dealer bust, or getting a blackjack without the dealer getting a blackjack. If the player and dealer have the same total (not counting blackjacks), this is a “push”, and the player does not win or lose money on that hand. 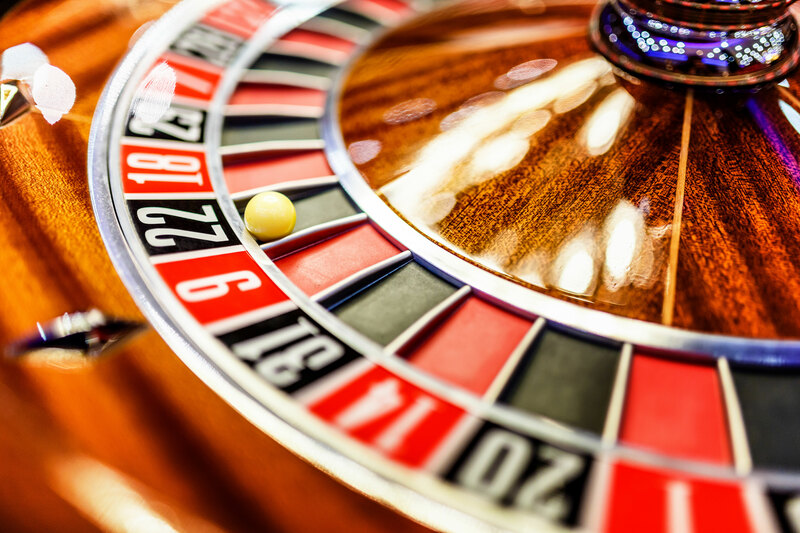 A fixture of casinos everywhere, the Big 6 Money Wheel is one of the simplest casino games there is. There are no hands to memorize and no complex rules — just the luck of the draw and your own betting prowess. The game is so named because there are six different wagers a player can make. And with payouts as high as 40:1, you can win big, even on a modest bet. Like Blackjack, with some fun innovations! Spanish 21 is based on the classic game of Blackjack, but has several different rules and exciting twists. The main rule difference between Blackjack and Spanish 21 is that a player’s 21 always beats a dealer’s 21! Booya! And, like on our Blackjack game, we have a Bonus “Match the Dealer” side bet to add even more excitement! Let it Ride is a five card stud game in which players try to get the best possible poker hand by using a combination of their cards and the dealer’s cards. A winning hand consists of a Pair of 10s or better. Players compete against a paytable, not against the dealers or other players. To play, each player places three bets of equal denomination. Players are then dealt three cards face down. The dealer is also dealt three cards, called “community cards”. After looking at their hand, players may ask for their first bet back or may “let it ride”. The dealer will then turn over one community card. Players may then ask for their second bet back or “let it ride”. The second community card is turned over by the dealer. At this point, all winning hands are paid. Now offering $1-$2 & $2-$5 No Limit Table Stakes Poker at the River Casino. The hottest game in NH is Table Stakes Poker! Join us daily and enjoy the friendliest dealers and the most comfortable room this state has to offer. Live Free. Play Poker. The River Casino offers a variety of Texas Hold’em tournament options, including Celebrity and Employee Bounty Tournaments and our popular Famous Sunday $5 Fin! Texas Hold ’em is the most popular variation of poker in the world. Come in and join the fun. Hold ’em is a community card game where each player may use any combination of the five community cards and the player’s own two hole cards to make the best five-card hand.